Wine is not just a beverage to sip after a long working day, it has a language too. Strengthening your wine vocabulary is key to understanding everything from the different types of wine, as well as the complex tastes within. This is what gives some wines a bitter flavour and the dry texture that is usually sensed in the middle of the tongue. Tannins are derived from the skins, seeds and stems of the grape. Wines with high tannin contents include Cabernet Sauvignon and Petit Verdot. Body (or mouth feel) is the determined weight of the wine in your mouth. As a general rule Australian Shiraz, Argentinian Malbec and South African Pinotage will have larger mouthfeel. Wines such as German Riesling, Italian Pinot Grigio and New Zealand Gewurztraminer will have a lighter mouthfeel. Body can also be increased by ageing wine in oak barrels. Countries with a long history of winemaking. These tend to be the countries that are north of the Equator (except US). Just to name some of the best know ones: France, Italy, Spain, Portugal and Greece. These wines come from countries where winemaking was introduced during and after the age of exploration. 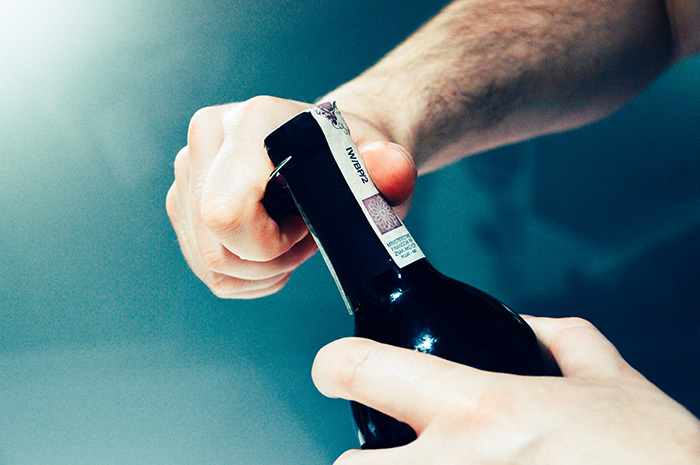 Wines originating from United States, Chile, Argentina and Australia are all categorised under the ‘new world’ category. When we refer to the word vintage, this does not mean the year the wine was made, but rather the year in which the grapes were harvested. This is especially important as, due to differentiated weather conditions the quality of grapes can change from year to year. This gives the image of the wine adorned in a sleek evening dress. However, for a wine to be considered ‘elegant’ it must possess a refined balance of acids, tannins, alcohol, fruit and oak. As we know from life, elegance grows with age and experience therefore elegance is most likely to be found in beautifully crafted aged wines. The opposite of fruity, where the wine holds undertones of soil and other natural tastes. Obtained from the oak barrels that the wine is aged in, the oak can add different flavours to the wine (depending how long the wine is aged). In white wine, it can add hints of vanilla and coconut, and in reds it can add deep flavours of baking spices or even dill. The acidic content of the wine is determined by the mouth watering. The more acidic the wine is the more your mouth will water.